'Picture perfect'. This wonderful 2800 sq ft. 3 bedroom, 2 bathroom heritage bungalow is nestled in the centre of the sought-after Queens Park neighborhood. 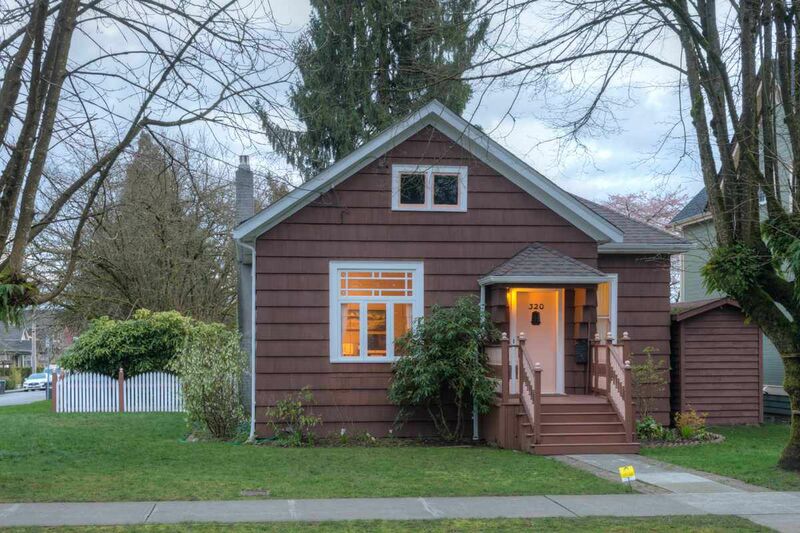 This meticulously maintained and tastefulupgraded home enjoys many original heritage features including: 10'3" ceilings, cozy feature fireplace & mantle, original wainscoting, re-finished fir floors, 12" baseboards, & a beautiful 6' soaker cast tub. It's the modern features of this home that may surprise you: a main floor mstrbdrm with 3 pce ensuite, modern kitchen with maple cabinets & undercounter lighting with subway backsplash, breakfast bar, stainless gas Jen-air stove & a dedicated large eating area. New roof, updated wiring, several custom wood thermal windows. Put your own fingerprint on this completely undeveloped good height basement with plumbing at grade. Large 57' x 124' level corner lot. Completely fenced with a sturdy 6' x 10' wooden shed. A short level walk to everything. Google walk score 92! For more photos & floorplans visit my website.